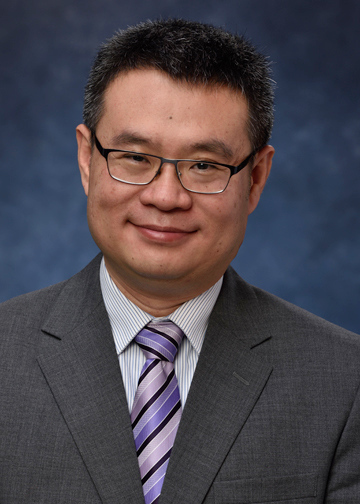 Yiran Chen, associate professor of electrical and computer engineering at Duke University, has been elected a Fellow of the Institute of Electrical and Electronics Engineers (IEEE) for his contributions to spintronic memory. Chen is a new faculty member at Duke who started his position in January 2017 after serving as the Bicentennial Alumni Faculty Fellow and co-director of the Evolutionary Intelligence Lab in the Pitt Electrical and Computer Engineering Department. His research focuses on finding ways to create computer memory systems that do not rely on electrons to surpass the physical density limitations imposed by the technology and better serve modern computing systems including both von Neumann and cognitive architectures. One such approach called “spintronic memory” relies on using the quantum spin of electrons to store information. Such technology offers better scalability, lower power consumption and faster performance. For example, Chen says, you could potentially back up your entire computer in a few milliseconds and have its memory remain reliable for months or years at a time.